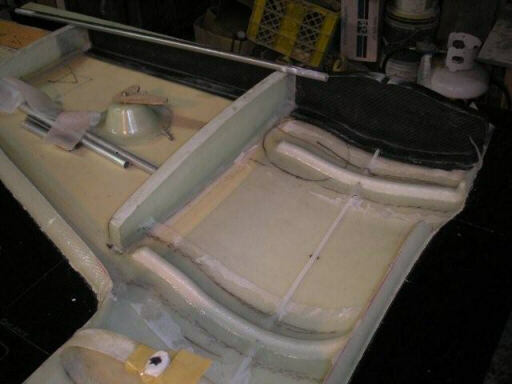 Brad's made a bunch of the Glidair internals in his molds, and has started installing them. 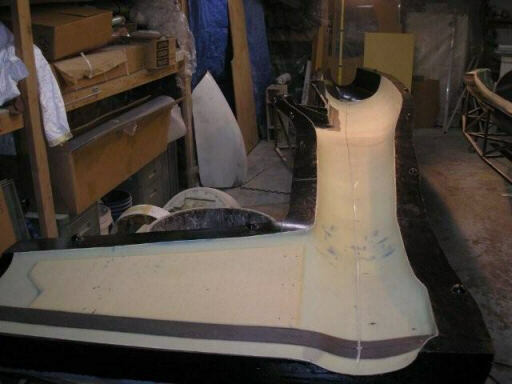 Bare left side fuselage shell, shown for reference. 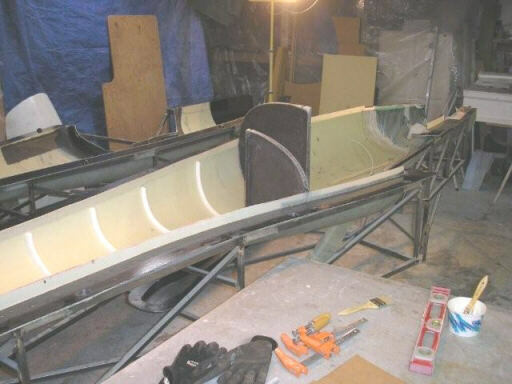 Right-side fuselage shell, with aft ring bulkhead and fin spar web in place. Brad has also glued down the cores for the intermediate stiffeners. These cores are about 5/8" high and 5/8" wide, and are CNC hotwired from EPP foam so they're nice and bendy. Their cross-section includes nice wide radii on the inside and outside corners, so they tape in nice and easy. 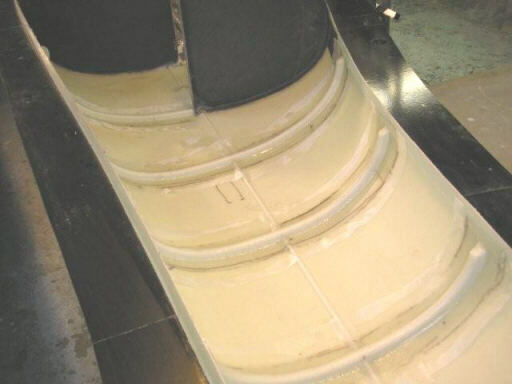 Once you finsh a shell, you just tack down the stiffener cores with hot glue, then cover each one with a ply or two of fiberglass tape. Let me know if you'd like to use some of these on your composite project, we've got lots. 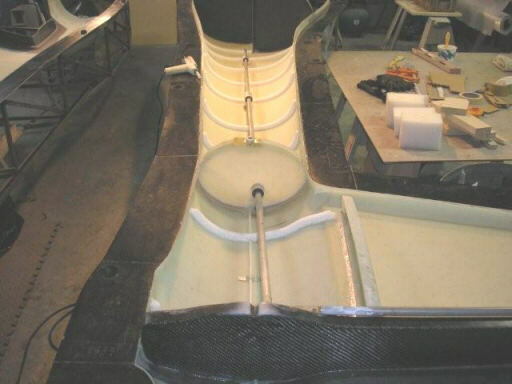 Right-side vertical fin, showing the fin spar, ribs, and elevator bellcrank boss. 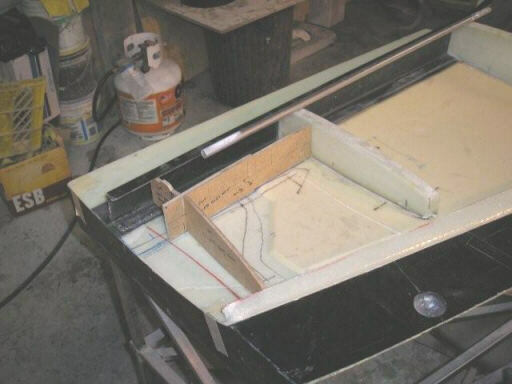 Masonite mockups of the horizontal tail attach. 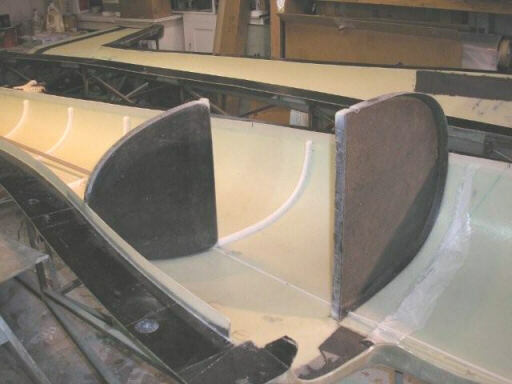 First-article bulkheads at the seat back and baggage compartment end. 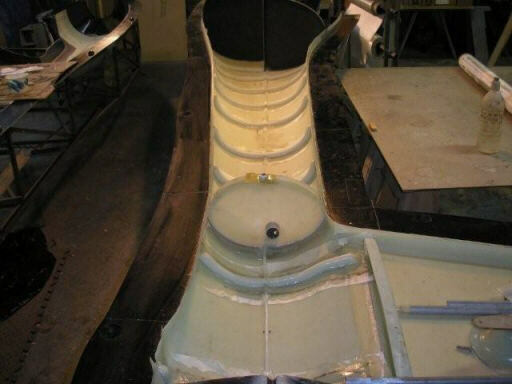 Another view of the bulkheads. 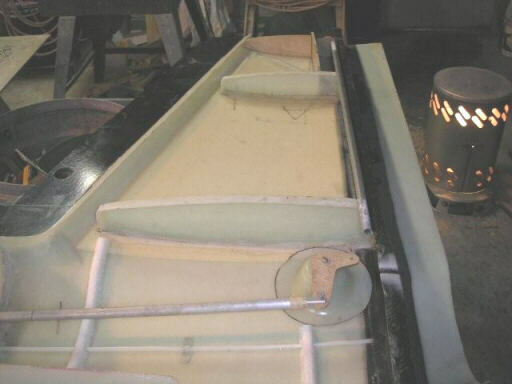 In the next three shots the stiffener cores are taped over. The glasswork looks a bit off because there's a layer of peel ply on top to wick out some of the resin and help hold down the edges. Once the peel ply comes off it'll look a lot cleaner.